Time: 7 a.m. - 10 p.m. Put your skills to the test at Titletown’s game courts. We have foosball, horseshoes, shuffleboard, ping pong, bocce ball and bean bag toss. Whether you are new to the game or an old pro, fun is always encouraged. Pull up a chair and get comfy. 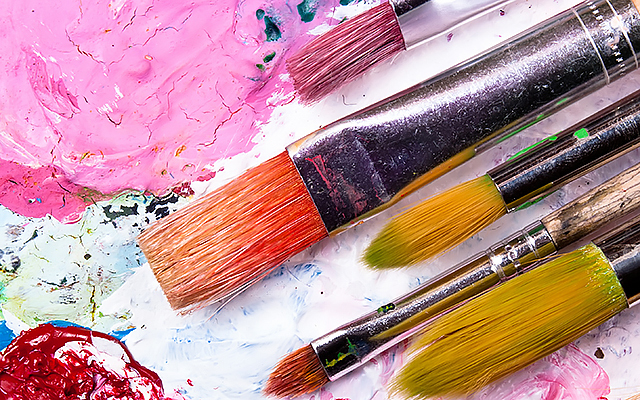 Starting in mid-April, guests can get crafty at the Art Cart, gather with friends over a board game at the Game Cart or relax with a book or magazine from our Reading Racks. Titletown’s playground is the perfect spot for kids to explore, move and play. From little tot equipment to a skilled obstacle course featuring a timed 40 yard dash, there is something for kids of all ages. To learn more about reserving the playground grass for an event, please visit our host page. Get moving, Titletown! Sized as a regulation football field, the athletic field hosts fitness classes and pickup games and can be utilized by park guests of all ages, whether they're playing tag or tossing a ball around. Visitors are asked to bring their own sports balls and Frisbees, as the park does not provide them. 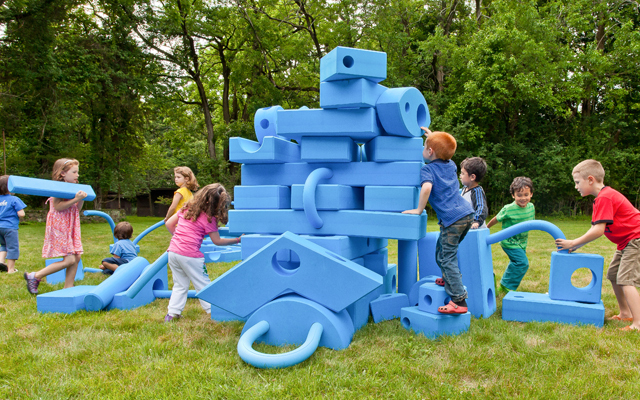 Innovate and create with Titletown’s big blue blocks.